As I recently reached 300 followers via bloglovin I've decided to do another little give away to say thank you for the continuous support from all you lovely little bloggers. Blogging has really helped me come out of the black hole I was once in with my anxiety/depression. So thank you! So this time you'll have the chance to win any MAC eyeshadow up to the value of £12.50. The choice is yours! The competition is open internationally. I will announce the winner either on a new blog post, email or by Twitter. Congratulations on 300 followers!!! Blogging helps me with my anxiety too :) It's pretty amazing. I would love to win as i'm yet to try a MAC eyeshadow! I would love win bcoz it's so expensive in Brazil! Because i love MAC lipsticks and i want to try their eyeshadows too ! I'd love to win because I've never tried MAC eyeshadows! Thanks so much for the chance! Love the dark purple especially! I'm so glad i follow your blog, and you should be soooo proud. What a generous giveaway ! 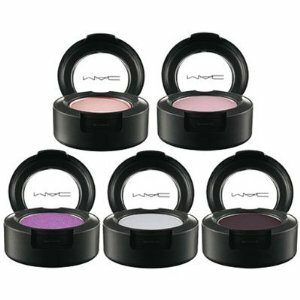 I would love to win as I have only ever had one mac eye shadow shocker for a beauty blogger I know haha. I'd love to win this giveaway because I don't have many MAC eyeshadows and would love to try more!